Sunflowers make me happy. I think they are amazing, their color is uplifting and the giants ones make me quite breathless. They are so full of joy and sunshine! 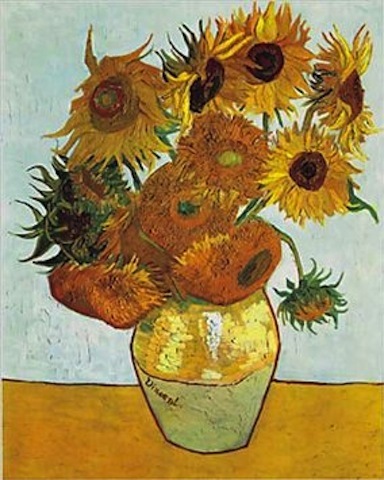 I was to hear that a photograph of Van Gogh's painting of Six Sunflowers was found, which shows for the first time how Van Gogh actually wanted his paintings to be displayed. That really made me smile, and I have written this article in celebration. Here's a link to BBC Article. 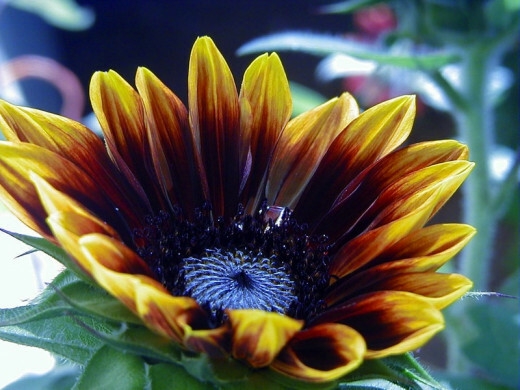 Here you will discover some very interesting facts about sunflowers, and some really nice things with sunflowers on them. They make lovely gifts. After all who doesn't love them. I hope you enjoy your visit. It was destroyed in Japan in 1945! A photograph has been found of it. Incredible! 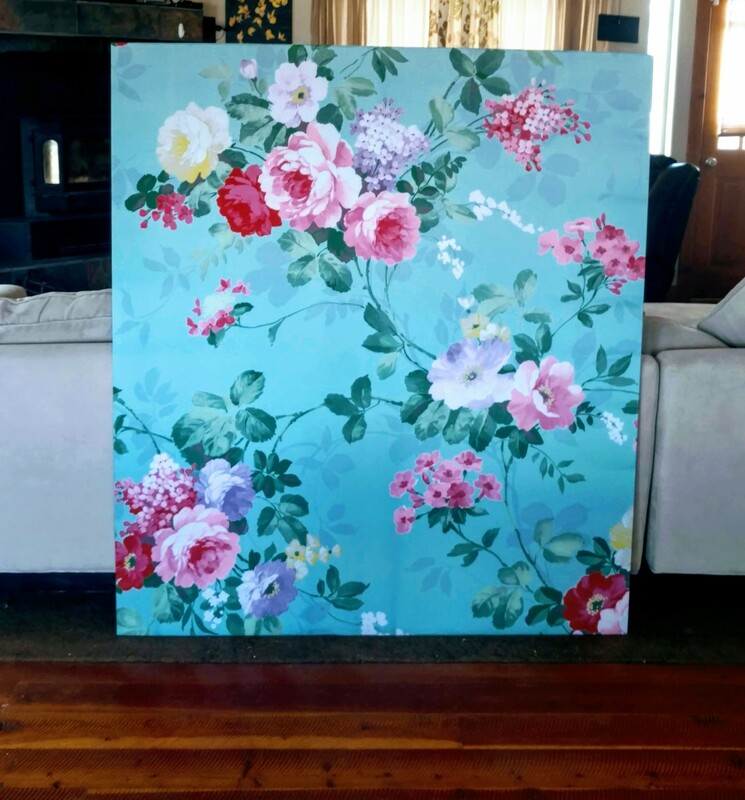 Posters are a really great way of decorating any room, and they are not expensive. I have picked out a couple of my favorites, but if you click one you'll be taken to Amazon.com where there are other beauties. This beautiful poster is unframed but comes with hangers that work well. It will brighten up any room. It comes in a smaller size too. 10 out of 11 people give this a 4/5 rating. Van Gogh wanted to share a studio with Gaugin and he said "Now that I hope to live with Gauguin in a studio of our own, I want to make decorations for the studio. Nothing but big flowers"
One of his sunflower paintings was made in order to decorate Gaugin's bedroom - sunflowers were a sign of friendship and gratitude. below is s a quote from a letter he wrote to his brother Theo, supported him through very harsh times. "It is a kind of painting that rather changes in character, and takes on a richness the longer you look at it. Besides, you know, Gauguin likes them extraordinarily. He said to me among other things - 'That...it's...the flower.' You know that the peony is Jeannin's, the hollyhock belongs to Quost, but the sunflower is somewhat my own." the use of the color yellow spectrum was possible because of newly invented pigments. Van Gogh died in poverty at the very early age of 37, it is thought that he shot himself. His work was not known by many, and those who did see it did not appreciate it! how things have changed! In 1987 Van Gogh's Still Life: Vase with Fifteen Sunflowers sold at auction in Christie's, London for the equivalent of US $39,921,750! I have a copy decorating my bedroom too! 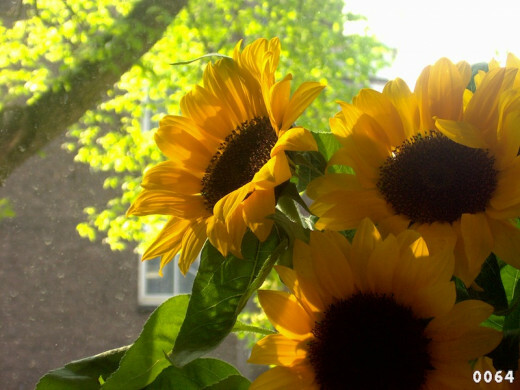 Sunflowers make great presents because they express friendship and gratitude. This book has some excellent reviews. It is very well written and illustrated. 105 out of a possible 126 people give this book 4 or 5 star Amazon rating. 100% Luxurious Charmeuse Silk Long Scarf-Van Gogh's "Vase With Fifteen Sunflowers"
Who gets married at 9.30 am on Monday morning? Nobody right? Well, no - I did! I admit it is a very unusual day and time but it was the only slot left in May, and we'd left booking the registry office way too late! We didn't want to wait so we just booked it and went ahead. I had a wonderful day with a few very close friends. I received a beautiful gift in the mail in the morning: the flowers in the picture above, a bottle of Champaign, and handmade chocolates. They were from my best friend who couldn't make it because he had to be at work. You can see he chose sunflowers for me! I love this - especially the grid she makes with simple tape. Easy! When the seeds start to turn brown and the beautiful flower head begins to droop they are ready to be harvested. Cut the flowers ( leaving about 2 inches on the stem) and hang them upside down until they are dry. All you do is cut the flowers ( leave about 2 inch on the stem) and hang them upside down until they are dry. soak them in salty water for 12 hours. drain and put in the oven on a baking tray. Roast in a low heat (200– 250 degrees F) until SLIGHTLY brown. Just the name 'sunflower' is beautiful don't you think! 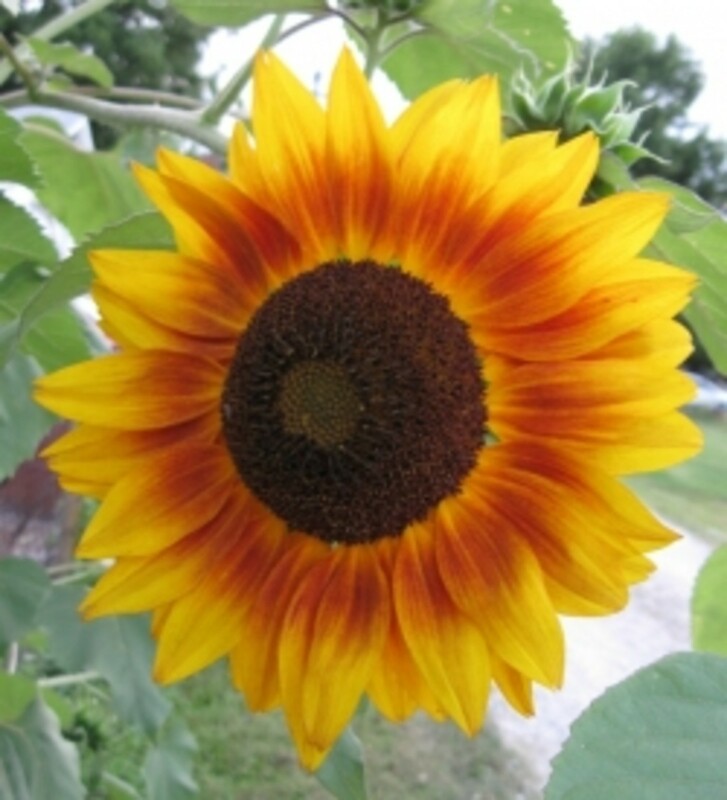 With names like Mammoth, Sunbeam, Autumn Beauty, and Teddy Bear, how could you not want to grow a sunflower! The Mammoth is a real giant - so not for a pot. These are the ones with huge golden flowers and are dark brown in the middle. Keep the seeds because you can eat them. Autumn Beauty makes large flowers, they are very beautiful the ones that have Autumn colours, reds and rusts, bronze and mahogany. These can grow very tall. They’re FANTASTIC! And they do make me smile. Sunbeam is smaller but they’re really yellow, even the center. They seriously make you smile! 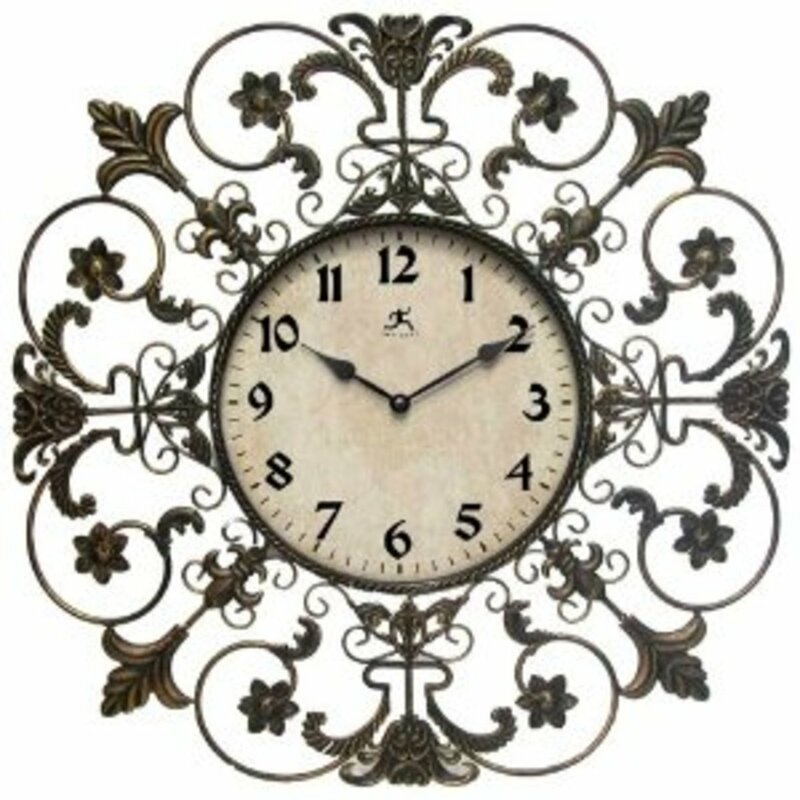 Great for adding to a bunch of flowers – cutting and giving as a gift. Teddy Bear, just as it sounds, small and cuddly. Only grow up to 3 feet tall. Great. How sweet! I always grow as many sunflowers as possible, especially when I move to a new home. I have never been able to afford a house with a beautifully made garden, the front or back, my husband and I have had to work very hard to turn them into what anyone would describe as beautiful! So, the first thing we do when we arrive is plant sunflowers because they are dramatic and very easy to grow. We are known as the sunflower house around here. And guess what, people have started copying us! Isn't that fabulous! Loosen the soil making, dig 1 inch deep holes, 18 inches apart, depending on the variety (the packet will tell you). Place a few seeds in each hole and cover with soil. Next cover with an organic fertilizer, this will encourage the stalks to grow longer, and if you want to you can add a few inches of mulch to keep the soil well drained. I don’t do this, and I’ve never had a problem. If it’s hot water them every other day. You may need to stake them when they start to get tall. If they get mildew spray them with a fungicide. This takes me back. I used to watch Bill & Ben when I was little. 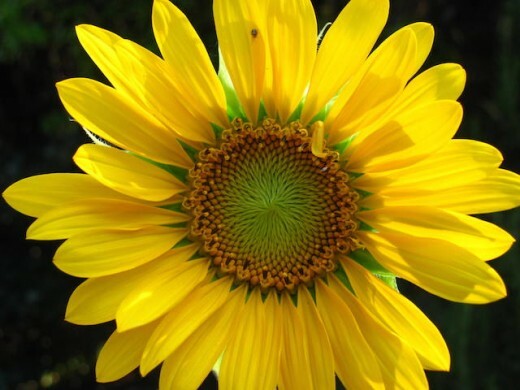 I love the prettiest sunflower of all, she is called Little Weed. Perhaps this is where my love for sunflowers comes from. Just listen to the beautiful English the story teller speaks. What a perfectly splendid accent she has! I just love it hahahaha. Not many people speak like her any more in England. Shame really. If you want to bring the flowers indoors and put them in a vase, cut the stalk at an angle the day before the flower is fully open. It's a bit heart breaking, but they do look wonderful in a vase and they last a very long tiem, or you could give them to someone special as a gift. These are so beautiful. 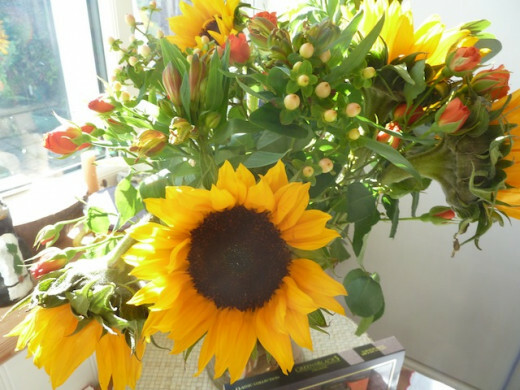 Amazon customers were delighted with the large array of flowers including sunflowers of course! There is a non vase option. They are shipped, they arrive quickly, but packed in a box. I have picked this bouquet out for obvious smiley reasons! But if you click on it you will be taken to Amazon where they have many other flowers to choose from. 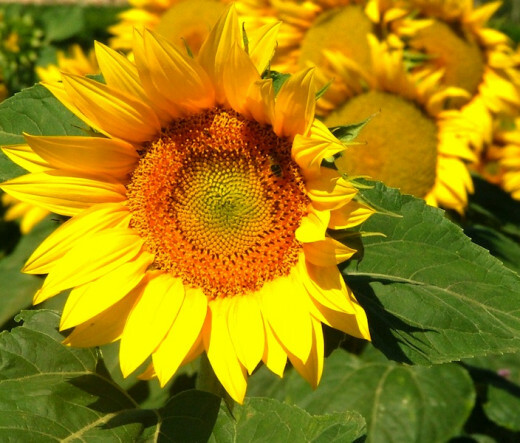 Sunflowers are the best flowers in the world - They certainly make me smile. your art work is creative and inspiring. i like your photography skill. @favored: I loved them! Thanks for your visit. 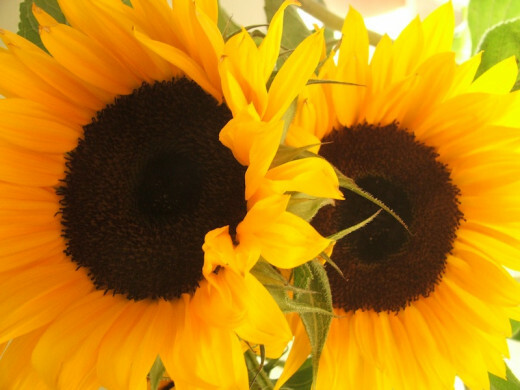 Sunflowers were a great choice for your wedding. Congratulations. @GrammieOlivia: That's very true. Thanks for your visit I'm glad you liked the lens because it was a response to a quest about what makes me smile. @SteveKaye: Thank you Steve. Of course they do - I forgot to mention that birds love to swoop down and eat the seeds! Great lens. And . 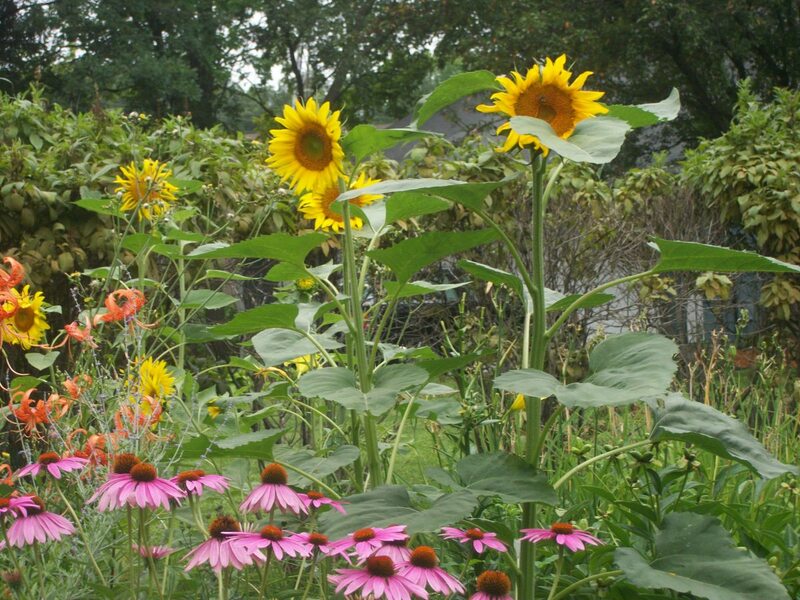 . . Sunflowers attract birds. They really like the seeds. @trevorjb1406: They certainly are. Thanks for your visit. @flycatcherrr: Thanks very much. I can't wait to see them in the summer. 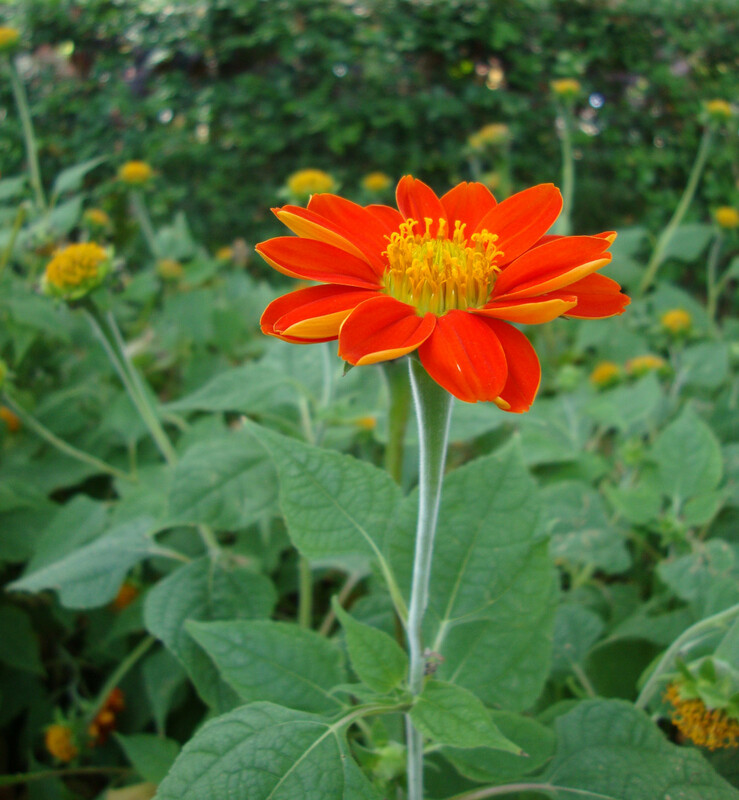 @ecogranny: Thank you so much. Absolutely peaceful and delightful. Thank you again. Gorgeous - so happy and sunny! Lovely page. These flowers are so vibrant! @Lynda Makara: They are so beautiful aren't they. I enjoyed all the beautiful pictures. @Jacone: I can't wait for summer! It's so windy here in the south of England. The sea is beating down all the coast line. No snow but pretty grim. Thanks for your visit. I'm glad I made this lens it always cheers me up when I think of it. Sunflowers certainly are beautiful, the bigger the better. I can see how passionate you are about them from this great Lens! Wonderful Lens, beautiful pictures, and very well put together. I just love all flowers. My favorite is daisies, then sunflowers, then daffodils! Wonderful, happy lens. Beautiful pictures! 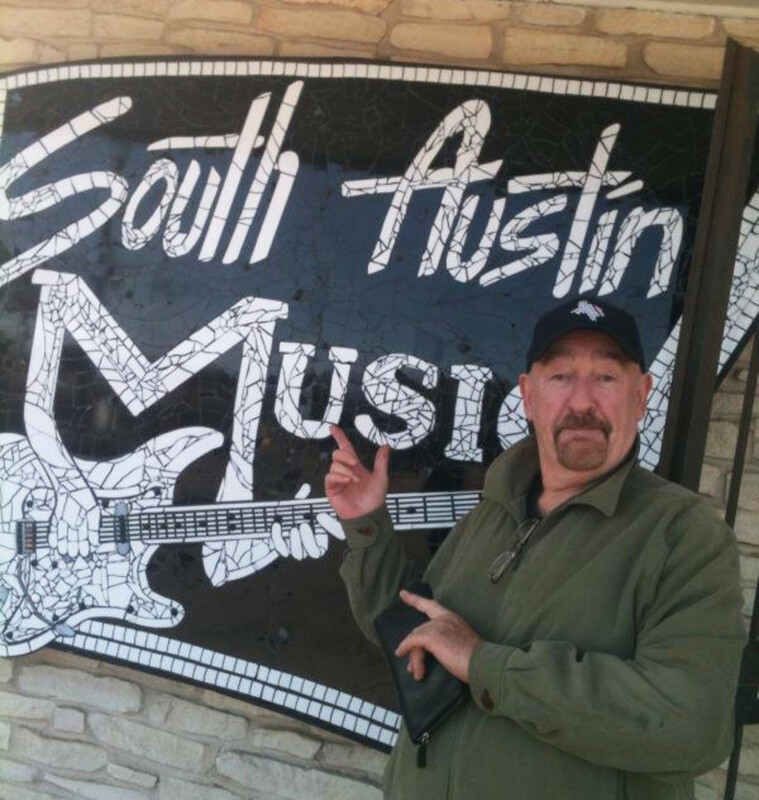 @socialcx1: Thanks for calling by. Glad you liked it. I couldn't resist those photos! 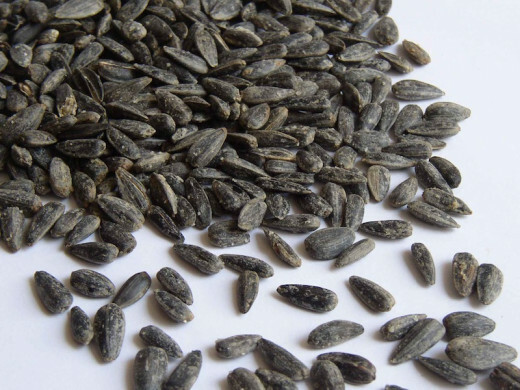 Great lens, I love sunflowers and also enjoy roasted sunflower seeds. Lovely pictures. Sunflowers are a beautiful flower, just like the sun nice and bright giving you the happy day feeling and if that doesn't make you smile well, there must be something else you can smile about. Don't you agree with me? @anonymous: Thank you. I love this lens it seems to be cheering up a lot of squids! Thanks for leaving a comment. Great Lens! 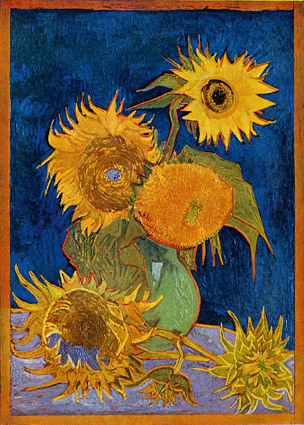 Those picture and all that bright yellow and orange colors are brightening everything up.Sunflowers are great flowers and Van Gogh a very special painter so, this is a great topic to write and think about.Thank you! @anonymous: You lucky thing -you sure it's not a real painting? :0) Thanks for leaving a comment. I actually inherited a van Gogh Sunflowers print from my grandmother-in-law. I don't think anyone else recognized it. I love sunflowers! My father-in-law has some planted in his yard right now. @SusanDeppner: Thanks for leaving a comment. I'm glad I made you smile. I love sunflowers, too, and Van Gogh's art. They definitely make me smile!